The usual winter caveats apply here: some sites are on reduced hours this time of year, and weather may interfere with operating schedules and special events, so please check ahead if you're not sure. That said, there's stuff to do on the Trails of History. The complete (as far as I know it) February program page is available if you want to plan ahead. Jan. 26: Something More Saturday—enjoy family-friendly activities in addition to the museum's permanent exhibits (click "interested" on the Facebook event to receive updates). Included in regular admission. 10 am-3 pm. Feb. 2: Pithole Cabin Fever Party—shake off your winter blues with music, food, crafts, games, and fun. If there is snow, grab your sled and cruise down the legendary boomtown’s slopes or build a snowman! Donations welcome. Takes place at Historic Pithole City, 14118 Pithole Road, Pleasantville, PA 16341 (check out the Facebook event for details and updates). 10 am-2 pm. Beginning Jan. 31: Winter History Class—learn about the history of the community at Ephrata and the world that surrounded it (more info on Facebook page). Speakers include site staff as well as outside scholars. Sessions are held from 9 am to noon each Thursday through March 28, and there is a field trip (extra charge) on April 4. Cost for the entire class is $55, $45 for members; you can attend individual classes for $10 each. Call the site at 717/733-6600 for more information or to register. Through Feb. 1: Museum closed—Fort Pitt Museum is closed during the month of January for exhibit upgrades and maintenance. It will reopen on Feb. 2. Starting Jan. 26: Winter Learning for Adults—winter weekends mean learning opportunities, including craft and trade classes, lectures, and classes offered by the Heirloom Seed Project. Schedules and costs vary. The full list of classes through April is on the website, along with a registration form. Starting Feb. 6: Homeschool Classes—on six Wednesdays in February through mid-March, Landis Valley offers a series of classes designed for homeschool groups. Each week has a different focus and activities. Sign up for all or some, depending on your schedule and interest (full details are on the website) 9 am-12:30 pm. Jan. 26: Winter in the Lumber Camp—dress warmly to explore outdoor activities on the museum grounds. 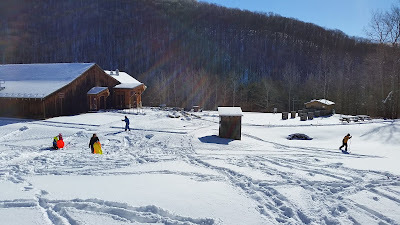 Bring your own sled, if you like, or try cross-country skis, snowshoes, or ice skates (conditions permitting) provided by DCNR State Parks program. Outdoor activities, including guided snowshoe hike on the Sustainable Forestry Trail, are free. There will be a nominal charge for museum admission and snacks if you want to venture indoors. Visit the website for details. 10 am-3 pm (trail hike is at 1 pm). Planetarium Shows—check the State Museum website for schedule and program descriptions. Feb. 1 [corrected]: Storytime—this month's book is The Most Magnificent Thing by Ashley Spires. Participants will use their imaginations to create their own "magnificent thing." Geared for ages 3-5 with accompanying adult. Included in regular admission. 10-11 am. Please visit the Washington Crossing website for info on any events and programs happening this month. This is an update to last week's post to add some notes. The weather forecast looks grim as I write this (on Thursday), but you never know. Depending on what's happening in your part of the state, please check to make sure sites are open and events are going on as planned. Most Trails of History sites will be closed on Monday, Jan. 21, for the Martin Luther King Jr. Holiday, but (weather permitting) the Railroad Museum of Pennsylvania will be open that day. Jan. 22: Revolutionary Dining Series—artist Adrian Martinez will present "The Facts Remain the Same, Only the Meaning Changes: Picturing the Battle of Brandywine for the 21st Century" and discuss his latest series of oil paintings, oil sketches, and drawings which serve as the groundwork for his current project depicting the largest land engagement of the American Revolution, the Battle of Brandywine, and its immediate aftermath (details on Facebook event page). Program is held at The Gables at Chadds Ford. Cost is $50 per person (cash bar available); tickets are available online via Brandywine's website. 6-9 pm. Jan. 24: Storytime at the Maritime—guest reader Emmanual White from U.S. Coast Guard Station Erie will read A Lighthouse Saves the Day, which highlights the importance of lighthouses and the work of the Coast Guard. Program is free for members of the museum's Little Mates Kids Club. Nonmembers pay $5, or you can join for $12 to enjoy all the other programs coming up. 10-11 am. Through Feb. 1: Museum closed—Fort Pitt Museum will be closed during the month of January for exhibit upgrades and maintenance. It will reopen on Feb. 2. OOPS, MY MISTAKE: this program happened last weekend and I goofed. OEV is hoping to get the program up on YouTube and I'll share a link when it's available. Jan. 19: Lecture—Univ. of Pittsburgh professor Dr. Bryan Hanks has been using various forms of Ground Penetrating Radar (GPR) to investigate the Harmonist Cemetery in Ambridge. He will discuss the cemetery, his research, what he has learned about Harmony Society burial practices (more details). Lecture is free. 2-3:30 pm. 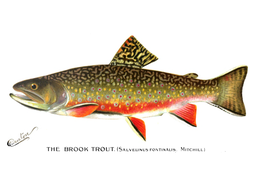 Jan. 19: Film Screening—the museum, in cooperation with Trout Unlimited (TU), the Tioga County Conservation District, and Mansfield University, will host a screening of the documentary film Stories from the Fountain: A TU Native Brook Trout Odyssey. The film explores the connection between Pennsylvania's forests and the health and well-being of our trout streams. Admission to the film is free. 1 pm. Jan. 20: Eclipse Viewing Party—BREAKING 1/18: due to impending weather and PennDOT's request that folks stay off the roads Sunday, this event is cancelled. Stay safe, everyone! there will be a lunar eclipse tonight and you can view it from the museum grounds. Pre-eclipse events will begin at 9 pm and eclipse viewing will start at 11 pm (details of program schedule on Facebook event page). The skies in this part of PA are especially dark and folks are very knowledgeable about nighttime photography, so this is one not to miss. UPDATE: if you're planning to attend, please call the museum (814/435-2652) to register; that way they have your contact info if the weather decides not to cooperate. Jan. 19: Discussion—museum educator Joe Horvath will lead a discussion on the topic, "A Brief History of War and Consequences - 20th Century," exploring the evolution of military and political conflicts. Program is free. 10 am. Jan. 21: Museum open—the museum will be open today for the Martin Luther King, Jr. Holiday (the museum is closed the other Mondays in January). 9 am-5 pm. January Planetarium Shows—full list of programs and times is on the website. Jan. 18: Learn at Lunchtime—special showing of the museum's new planetarium show, Faster than Light! The Dream of Interstellar Flight. Appropriate for grade 6 and up. Regular fees apply. 12:15 pm (doors close promptly). Please visit the Washington Crossing website for info on this month's programs and schedule. The January program page will take you all the way to the end of the month. Here's what's happening in the next couple of weeks. Please note that most Trails of History sites will be closed on Jan. 21 for the Martin Luther King Jr. Holiday. Also, the Pennsylvania State Archives Research Room remains closed to the public through January 12; staff will be at the PA Farm Show providing access to free genealogy searches via Ancestry.com. 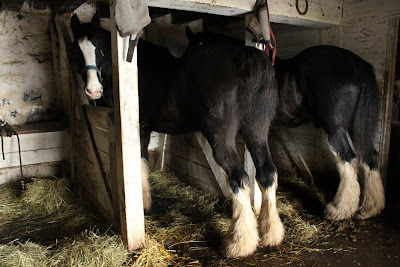 Last week's post includes info on PHMC at the PA Farm Show (thru Jan. 12). Wednesday, Jan. 16, is Museum Selfie Day! Share your favorite museum selfie using the hashtag #MuseumSelfie and, please, also tag the museum where you took the photo. Learn more @MuseumSelfieDay on Twitter. Jan. 13: Fireside Tales—gather around the fire in the Wayside Lodge to hear a tale, "Fiona's Lace," and enjoy cookies and cocoa (more info on Facebook event page). Dress for the weather. Suggested donation of $2 per person. 2 pm. UPDATE 1/23/19 - unfortunately this event has been cancelled Jan. 24: Storytime at the Maritime—guest reader Emmanual White from U.S. Coast Guard Station Erie will read A Lighthouse Saves the Day, which highlights the importance of lighthouses and the work of the Coast Guard. Program is free for members of the museum's Little Mates Kids Club. Nonmembers pay $5, or you can join for $12 to enjoy all the other programs coming up. 10-11 am. Jan. 19: Lecture—Univ. of Pittsburgh professor Dr. Bryan Hanks has been using various forms of Ground Penetrating Radar (GPR) to investigate the Harmonist Cemetery in Ambridge. He will discuss the cemetery, his research, what he has learned about Harmony Society burial practices (more details). Lecture is free. 2-3:30 pm. Jan. 20: Eclipse Viewing Party—there will be a lunar eclipse tonight and you can view it from the museum grounds. Pre-eclipse events will begin at 9 pm and eclipse viewing will start at 11 pm (details of program schedule on Facebook event page). The skies in this part of PA are especially dark and folks are very knowledgeable about nighttime photography, so this is one not to miss. UPDATE: if you're planning to attend, please call the museum to register; that way they have your contact info if the weather decides not to cooperate. Jan. 17: Curiosity Kids—visit Nature Lab to learn about SLIME! Geared for ages 3-6 with an adult, this program is included in general admission. 11:30 am. Jan. 18: Learn at Lunchtime—special showing the museum's new planetarium show, Faster than Light! The Dream of Interstellar Flight. Appropriate for grade 6 and up. Regular fees apply. 12:15 pm (doors close promptly). What Time is It? Farm Show Time! Last week's post has info on Trails of History events through Jan. 10, and the January program page has info for the rest of the month. It's the week after New Year's, and you know what that means. The gyms are packed, the produce department is depleted, and everybody's being extra nice. But it also means Pennsylvania Farm Show Week!!! 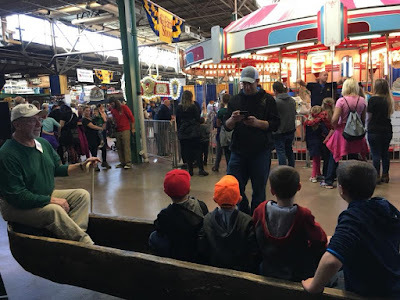 Where you can eat your weight in fried mushrooms and potato donuts (it's tradition) while exploring the latest in farm machinery and learn about new developments in agricultural science and so much more (see visitors guide for all the details). Not to mention the butter sculpture! You'll find all of these wonderful folks in Booth #687 and #688, in Main Hall East near the Maclay Street side of the Farm Show Complex (that's also where the butter sculpture is displayed). On Wednesday and maybe Thursday, you'll find Hank and Hunter, a pair of Black Clydesdales from Landis Valley Village and Farm Museum, competing with other draft horses in New Holland Arena and/or the Equine Arena (check the schedule for times). To plan your visit to the Pennsylvania Farm Show, check the Tips and Maps page. To keep in touch via social media, follow PA Farm Show on Facebook or #PAFarmShow and #PAFS19 on Twitter. I'll try to add PHMC updates to this post as the week progresses (in between slurps of chocolate milkshake).